Videos are the best way to capture your followers’ attention on Facebook. 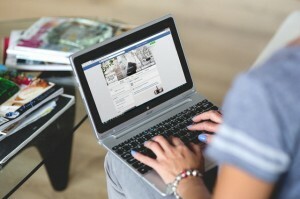 Not only because Facebook users love to watch videos, Facebook promotes videos over other types of posts. Every day, Facebook videos receive 8 billion video views. This has been a growing trend over the last few years. In a recent survey, 45% of Facebook users expressed intent to consume even more Facebook videos in the future. So, don’t wait – now is the time to engage with your audience in a new way. Even more than these surveys and metrics on video views, here are three reasons why you should incorporate videos into your chiropractic social media marketing today. Videos on social media generate 1200% more shares than text and image combined. They are personal and they display emotion much more than an image does. 500 million people watch Facebook videos every day. Take a look at your Facebook Newsfeed and you’ll see video after video. These posts are dominating Facebook’s algorithm. Based on the algorithm, most likely more followers will see your video posts than your text or image posts. On average, Facebook videos receive 135% more organic reach than photos. This higher organic reach increases brand recognition and retention of current patients – without a single advertising dollar spent. Videos can fit into your chiropractic social media strategy in a myriad of ways – whether you’re posting about a new special or showing what your office looks like. The versatility of communicating with video on social media is a profound benefit. If you’re not sure where to start, here are a few key tips for creating Facebook videos without having to become a professional videographer. Successful Facebook videos don’t need to look like they were created on a film set with expensive equipment. Facebook videos with the most engagement and responses from viewers keep the story and benefits center stage. You could start with doing a simple Facebook Live video (on your cell phone) touring the office, introducing new staff members, and giving a behind the scenes peek into your day. Or you could film a selfie video talking about the key benefits of a new service you’re offering or a special that you’re running. Facebook videos are most successful when they are authentic, relatable, useful, and entertaining. Think about the platform for a moment… It’s where people post about their family vacation and share videos about their day. It’s an informal space where people go to connect with one another. There’s a reason why Facebook Story videos are limited to 15 seconds. Attention spans are short. Hook them with something engaging at the very beginning of the video so that you stop them from scrolling through their newsfeed. Facebook recently changed their settings to automatically play videos with sound. 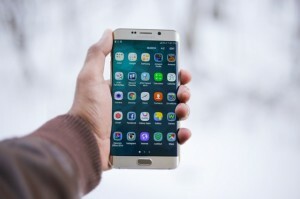 However, most users have either manually changed the setting to silence the videos or have the audio on their phones or computers turned off. Most people scroll through Facebook on their phones while they’re waiting for their coffee, sitting at a lunch break, or just walking down the street. They are filling a couple minute gaps in their day and don’t have time to consume a 3 to 5-minute video. A recent study shows that the ideal length of Facebook videos is under 2 minutes, with 60 to 90 second videos receiving the most engagement. Facebook Live videos are the exception. According to the study, the ideal length for these videos is between 18 and 20 minutes. Why? People expect longer videos when they’re in a live format. Keep these expectations in mind when thinking through the topics and outlines of your video ideas. Don’t miss this opportunity to engage with your followers by giving them one step beyond watching the video. Try encouraging them to comment on your video with questions or to sign up for a special. Mention your call to action both in the text of the post and at the end of the video (with captions of course). Creating videos for your chiropractic Facebook marketing doesn’t have to be complicated. Plan ahead and schedule it into your current social media marketing plan with just a few minutes each week. Posting Facebook videos will enhance your social presence while engaging current patients and enticing prospective patients. 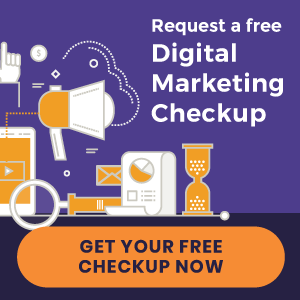 If you’re overwhelmed by the ever-changing social media marketing landscape, then schedule a free evaluation with one of our digital marketing experts. They’ll review your current social presence and provide actionable tips to improve it. « Introducing New Chiropractic Websites for Roots Chiropractic and more!